Gold prices seem to be moving sideways after prices peaked in September. Gold prices followed similar patterns to other base metals (such as copper and nickel), and rallied during Q3. We might expect to see price pullbacks after volatile bullish runs. U.S. dollar-price movements heavily impact gold; the weaker the dollar, the stronger the gold price. The U.S. dollar has appeared weak since the beginning of this year, while gold prices have risen. This suggests a negative correlation. In the chart above, both gold and U.S. dollar prices appear in the upper half of the chart. The black line at the bottom reflects the correlation between the U.S. dollar and gold prices. Both correlate negatively, which supports our previous statement. 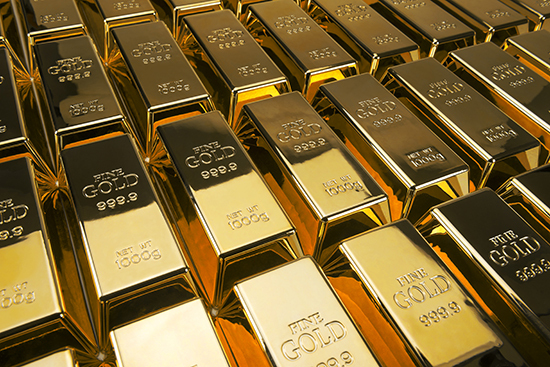 A weaker U.S. dollar will help boost gold prices. Moreover, the correlation value falls between -0.70, and even closer to -1. 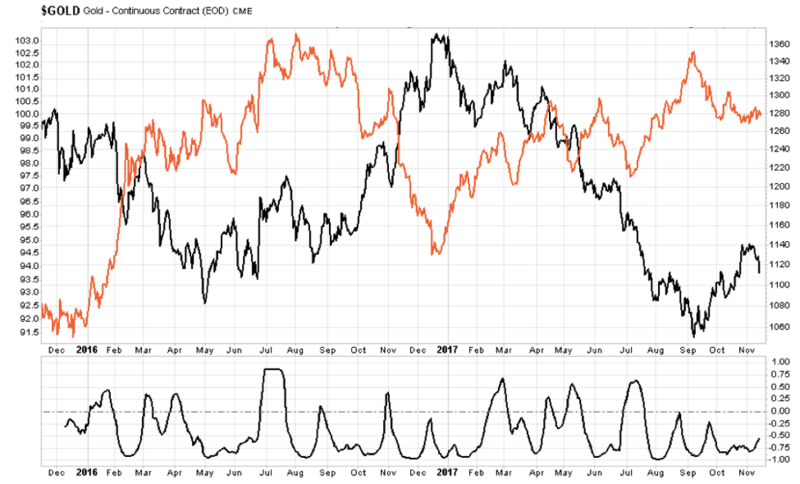 Therefore, gold and the U.S. dollar have a strong negative correlation, and the U.S. dollar serves as a reliable indicator for gold. However, at certain times the correlation appears positive. In July 2016 and July 2017, both the U.S. dollar and gold prices traded together. 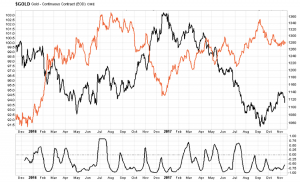 This tells us that the negative correlation doesn’t always provide clues as to gold prices. Stock markets also shed light on metals markets. Even though increasing stock markets do not necessarily equate to booming metal prices, they do suggest confidence in the overall economy. The S&P 500 currently trades at its historical levels, even in uncharted territory. A rising stock market reflects investors’ positive sentiment with respect to the economy. The S&P 500 has increased by 15% so far this year. A better economic performance may lead traders to put their money in commodities, which will support the rally in base metal and precious metal prices. The Chinese FXI index reflects an expansion in that economy. 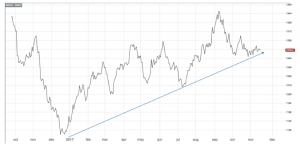 Even though the FXI index has fluctuated more than the S&P 500 during the last five years, the uptrend that began in 2016 appears sustainable (at least for now). Readers might be asking: how can I relate gold prices to base metals strategy? The answer is simple: copper and gold have traded historically in the same trend. 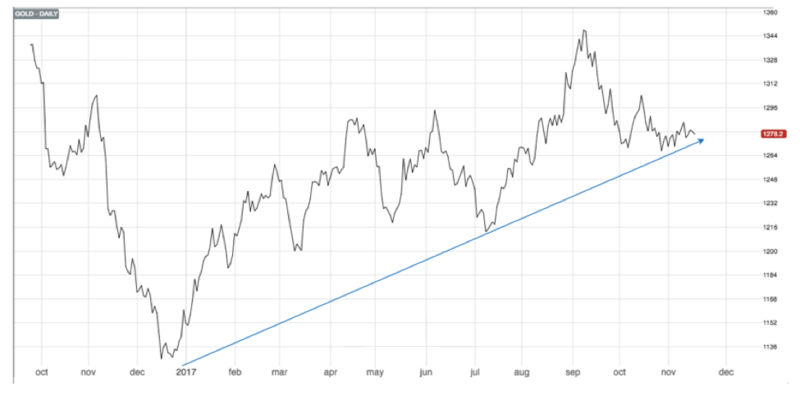 Both gold and copper prices are currently in a long-term uptrend. However, a couple of divergences took place at the beginning of 2016 and at the end of the same year. Gold prices rallied at the beginning of 2016, while copper prices increased (but by a smaller amount). At the end of 2016, copper prices rallied and gold prices dropped. They recovered afterwards, continuing its uptrend together with copper. Industrial metal buyers may want to consider gold price trends as an additional indicator at which to look. Currently, stock markets are signaling a continuation of a commodities bullish market, as well as a healthy economy in U.S. and China. Therefore, buying organizations may want to understand how and when to buy to reduce their costs. Buying dips are reflected in our Monthly Outlook and a long-term analysis for every base metal and steel forms in our free Annual Outlook.